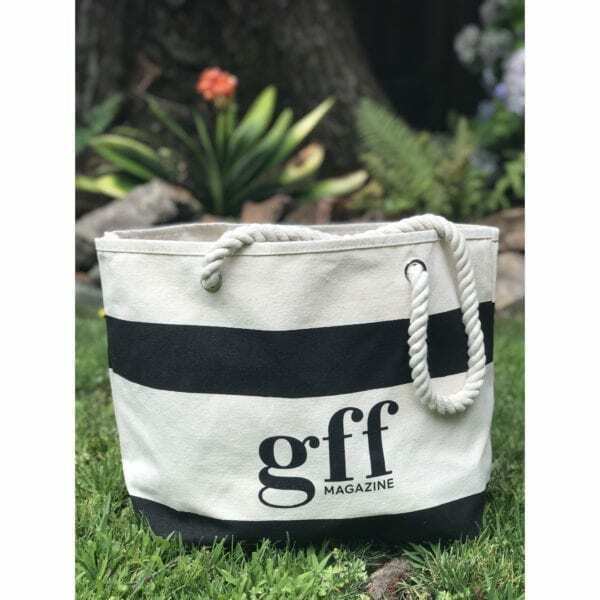 Our cute, durable GFF cotton canvas picnic tote features 26-inch cotton-rope handles and plenty of room to pack your favorite GF foods, beach towels, and anything else to help you have gluten-free fun on the go. Care: Hand wash with damp cloth only. Not machine washable.